“My vision for the local, is one solidly planted in the Labour Relations Arena, Strong, Fair and Credible Leadership that our Local can be built upon. While on the tools Phil worked in the Industrial, Commercial, Institutional, Marine and Motor Winding Sectors and has traveled in various other IBEW locals in the Country, opening his eyes to the way others conduct business in their local union. During that time Phil performed as Shop Steward, Occupational Health & Safety Committee Member, Fire and Emergency Response Team receiving the IBEW Life Saving Award in 1986. In January 1996 Phil came into the Local 230 office to develop and implement our Organizing Strategy. Also began serving as a Delegate to the Dockyard Trades and Labour Council in early 1997. Started writing our Grievances and presenting them in Arbitration, as well as our Labour Relations Board cases. After organizing the Railway Phil co-authored the Railway Council’s Constitution and acted as their new President. 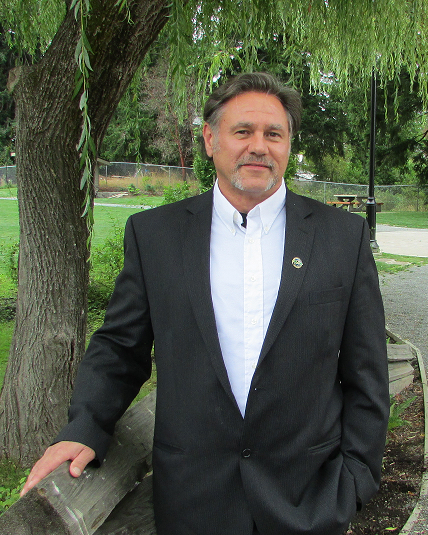 Elected as the President of the Vancouver Island Building Construction Trades Council and continues in the role today. Served as an Executive Board Member and an Officer of the BC Federation of Labour, an Executive Board member of the Provincial Building Trades, Vice-President of the Vancouver Island’s Metal Trades Council, the United Way Labour Committee, and a number of Island Economic Policy Committees. Achieved the Advanced Trustee Management Standards Certificate for Group Benefits Management, as well as a Certificate in Pension Fund Management & Certificate in Jointly Managed Training Funds. Spearheaded the stand alone Society to manage the purchase of the Local 230 Building Society owned building. Hosted the IBEW All Canada Progress Meeting, Local 230’s 100th & 110th Anniversary, attended the 2nd Congress of the International Trade Union Confederation representing over 80 million union members from around the world, and attended the IBEW 36th, 37th, & 38th IBEW International Conventions, as well as appointed by the IBEW’s International President Ed Hill to serve as Canada’s representative on the Law Committee for the purpose to review all proposed resolutions to change the IBEW Constitution during the International Convention, then elected as the first Canadian Delegate in the IBEW’s history at Convention as one of the two Metal Trades Delegates to the American Federation of Labor. The Collective Agreements Phil has Negotiated are clean, clear documents giving our members superior working rules and good solid increases into wages and benefits. One thing Phil has learned is, to be very aware of what is taking place around the rest of North America and the World, as today’s immediate global transfer of knowledge, trade and movement of labour events around the world will eventually end up on our doorstep, and finally, without our membership, that means you the retirees of yesterday, the journeymen of today, and the apprentices of tomorrow, without you, this is all for nothing…..